Here is what we did this year. 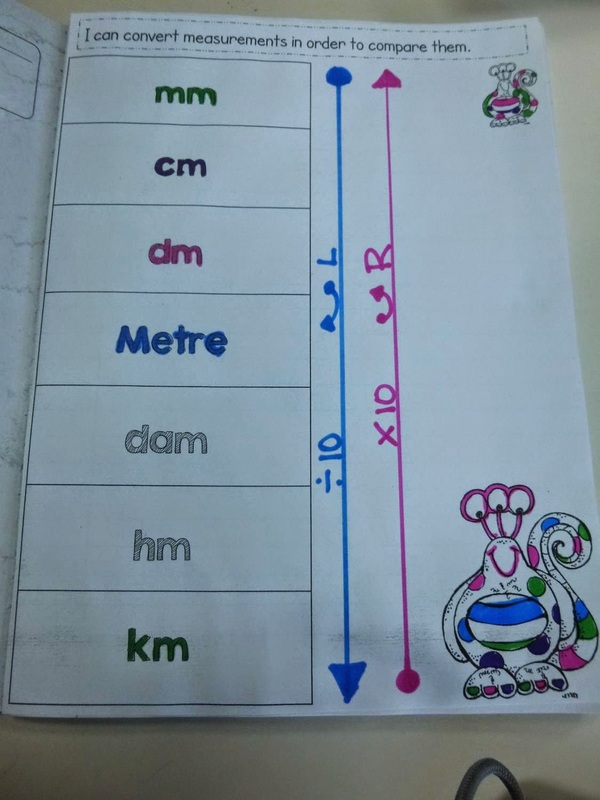 As usual when introducing the different measurements we talked about and wrote their equivalents 1 m = 100 cm etc. on our class anchor chart. 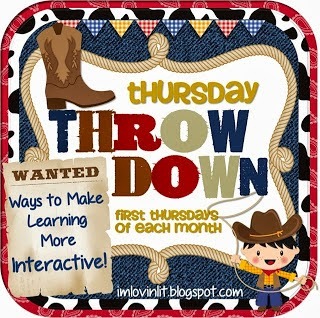 We made an interactive note on each unit (that I do not have a picture of for some reason). Then we made this note in our book. 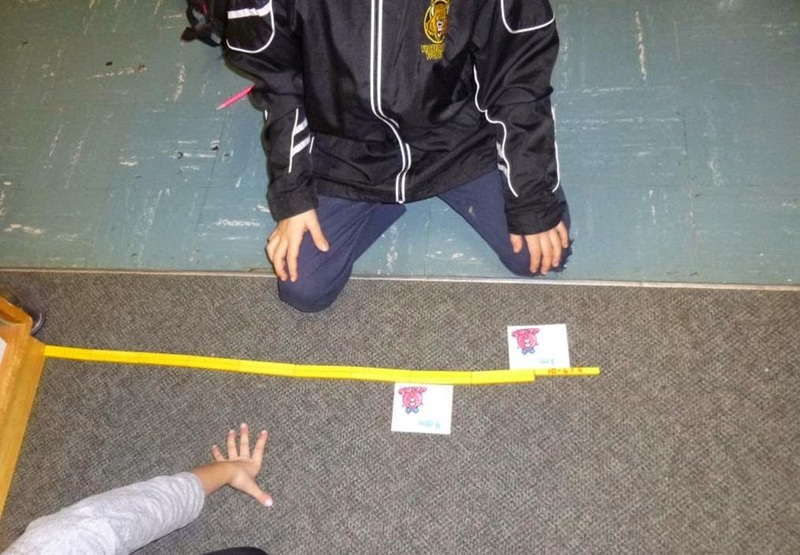 I gave each student a card with a number and measurement unit and we made a line from least to greatest - each time we added someone we had to convert their measurement and figure out where thy belonged - this takes awhile!! Next I gave students each one card and put them in groups of three and four to have them put their cards in order. We were still struggling but with some guidance we managed. So, I talked with the Special Education teacher who supports in my class twice a week for math and decided we could not move on but we needed something more visual. The next day they got cards again only this time they had to model the measurement. 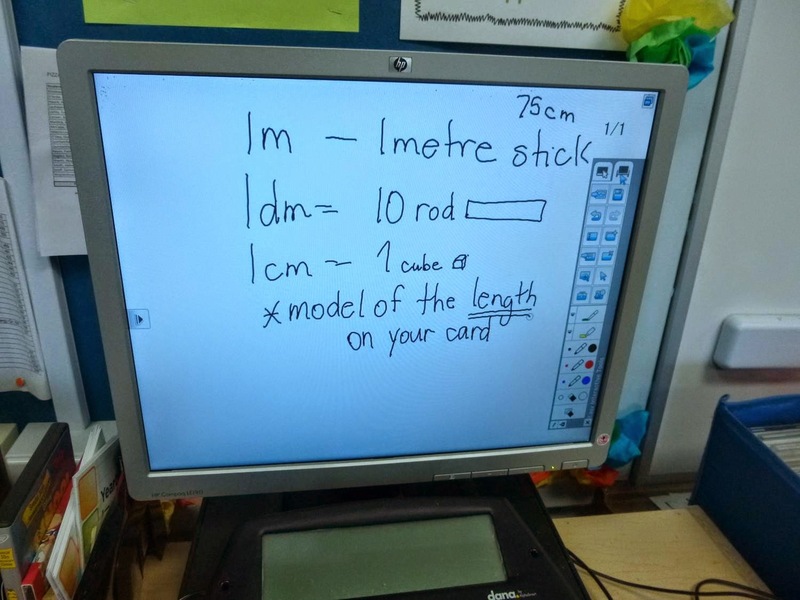 First we brainstormed what we could use to model these measurements - it took a while but finally we came up with a metre stick, from there a ruler (which I was not crazy about), centimetre cubes and ten rods. Here is what I projected for the students to refer to while working. But here is what happened with a few of them. 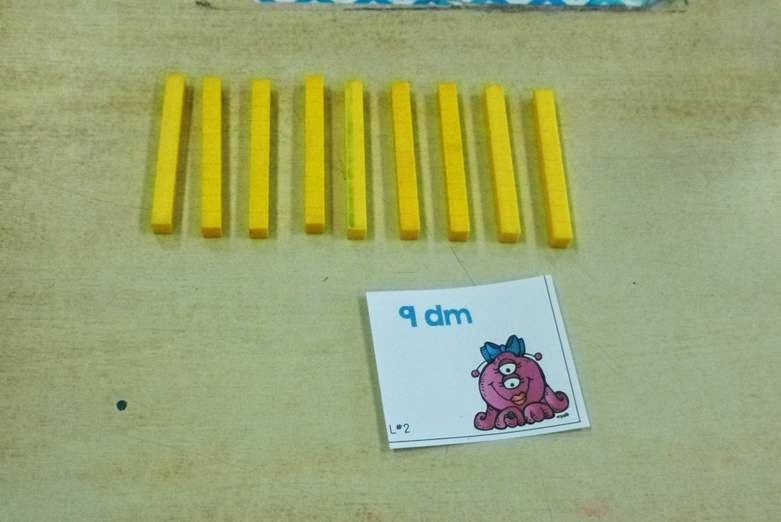 They modelled the number but did not make it a length - had to emphasize that on the whiteboard by calling attention to the word length. Here is what they did next. Woohoo, we modeled the lengths. Then we did a gallery walk - we went to each model, the student explained what it was showing and how they knew it was right (what tools they used). 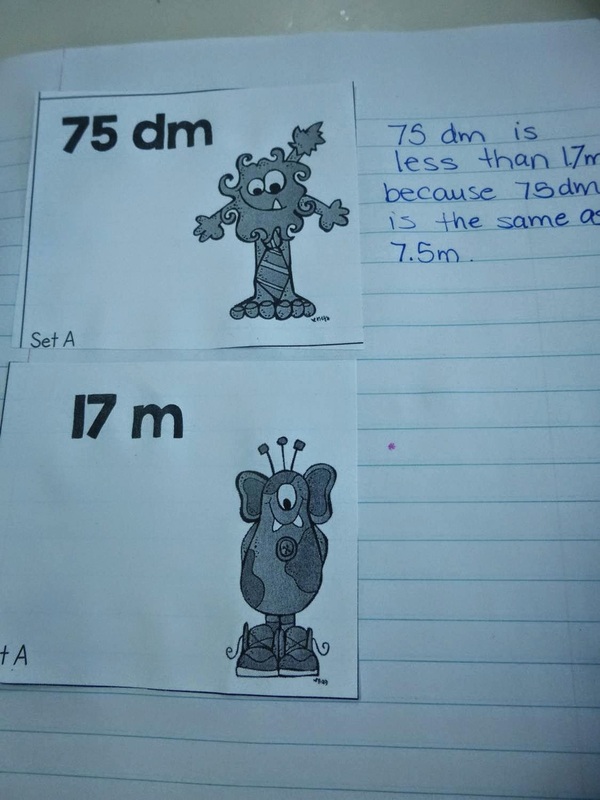 Sometimes I would have students check each other's work to make sure it was accurate. 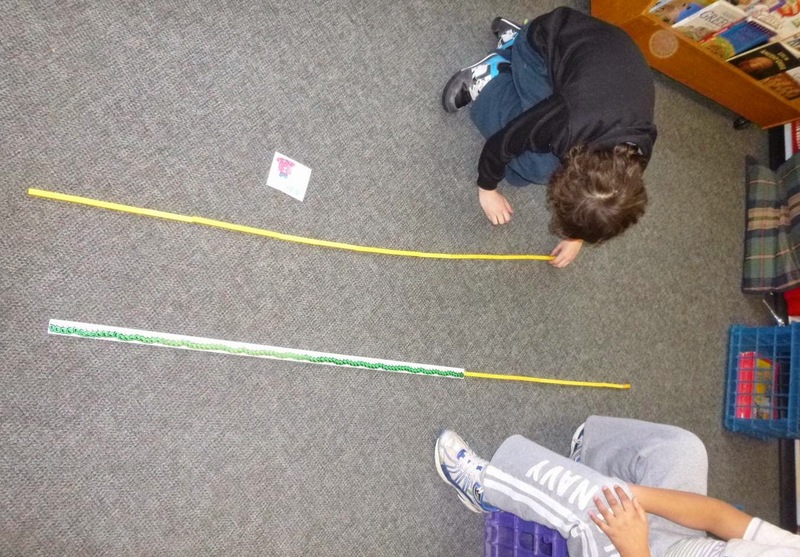 We also did some noticing - they needed a metre stick and more, they could have used, etc. 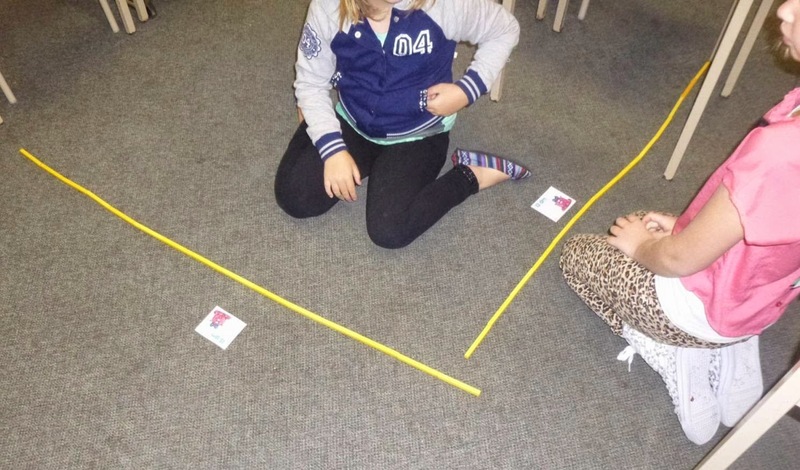 Then, we used our Milk & Cookie partner cards to find a partner and put our models together to compare them. 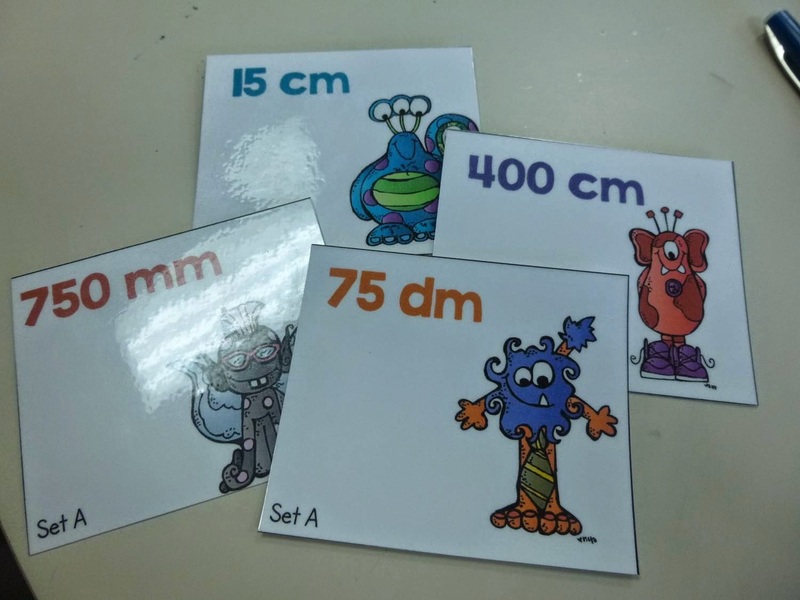 As a final follow up students were given two cards again for their notebook, they wrote their comparisons and had to show how they converted the units to the same unit. 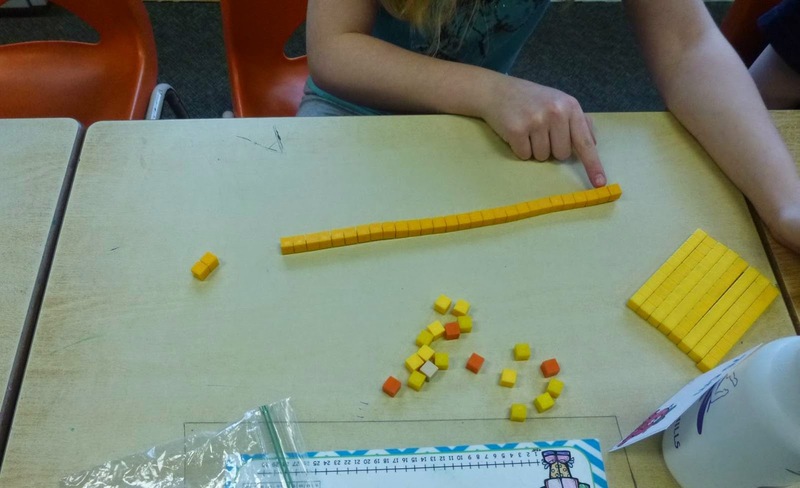 It went 100x better - it was especially rewarding when some students made models to help them think it through.